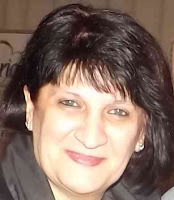 - Miss Siang Prat Gomez, Spanish - Costa Rican citizen – majored in Philology, English-Spanish, Spanish-English traanslator. I like to travel mostly to Europe, to read and write novels. One phrase that describes Siang: “Luck does not exist, you create your own luck.” You can also find Siang on FB. 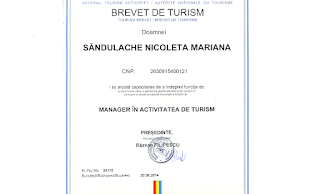 Miss Nicoleta Sandulache, Romanian citizen, majored in Tourism, English-Romanian speaker. "I like also to travel, I like History, Geography and sports. My big hobby is gastronomy and my favorite TV show is Masterchef Australia." You can also find Nicoleta on FB, and on blogger, with: http://reteteleluisupernico.blogspot.com. The idea to open this medieval hostel was Siang’s. She is in love with medieval time, castles, knights, kings and queens, old time with a lot of bloody moments, with tournaments and battles, with peace and glamour. 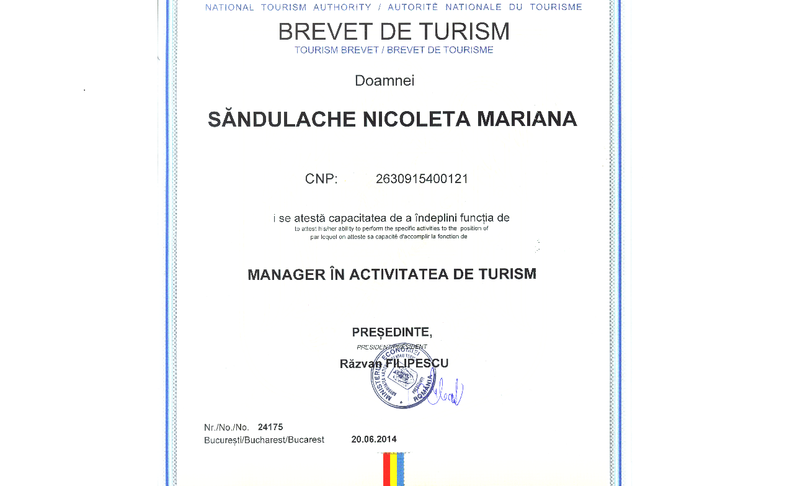 Siang was so delighted about Romania that she visited four times, specially Transilvania and it remained in her heart. She saw a lot of castles like, Bran, (Dracula Castle), Huniad (Iancu de Hunedoara king castle) and medieval festivals like Sighisoara, Aiud, Sibiu. 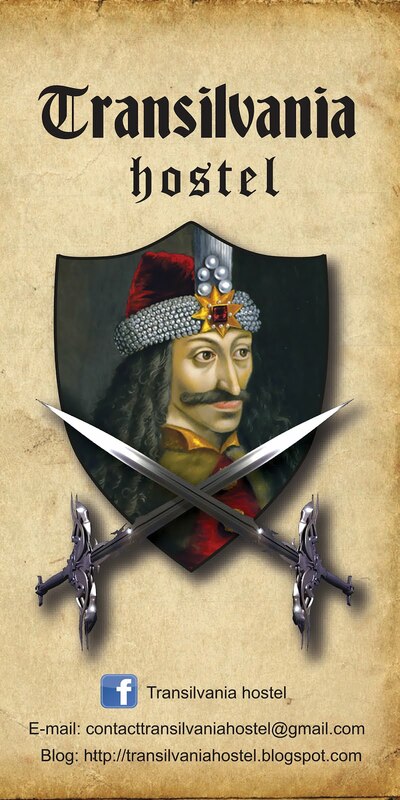 Therefore, we decided to make of this hostel a turn back into time of King Vlad Tepes (Dracula). 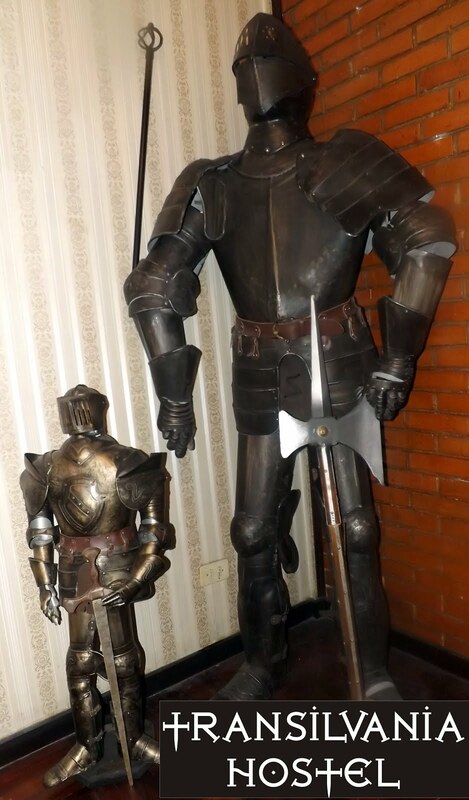 You will spend your time in our hostel admiring the medieval decoration with armmours of knights, flags and swords that remind you of that medieval time. 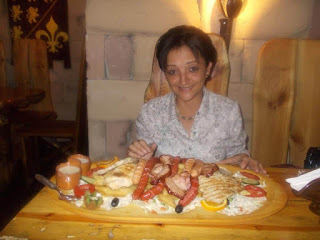 You will spend an overwhelming time and also if you choose to eat medieval food just from your hand served on a wood plateau in our medieval small restaurant, will be a new experience for you. Just like medieval people used to eat: with their hands. It will be like a gastronomic feast for kings and queens in modern times.